Last stop Johannesburg, SCJs’ newest community in South Africa | Walk with us! This is my address for the next three days! It is our newest South African SCJ community. The South African Province purchased the property from a community of sisters who retired from their ministry here. It is in a pleasant area in this large metropolitan city of over 8 million inhabitants. The house is located about a four-minute walk from the University of Johannesburg Auckland Park Kingsway Campus. The Jesuits have their community house a few doors from here. According to Fr. Peter Surdel, the area is also home to a number of actors as the studios for South African Television are very close to here as well. It is also close to the Botanical Gardens, were I took my walk this morning. My plane was late getting here from Pietermaritzburg but Fr. Peter was there to greet me with his usual smile and we soon were on our way to the house. It’s only about 20 minutes from the airport and traffic was light at the late hour. This morning we had morning prayer and Mass at 7:30 a.m., followed by breakfast cooked by one of the students. There are five in the house right now. 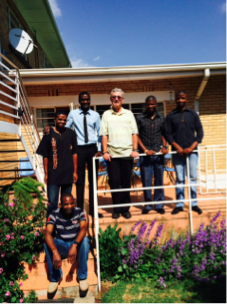 Three are professed (in vows) preparing to study theology in Pietermaritzburg. Two are from Mozambique and one from Angola. The other two are candidates for the South African Province. All five are studying English. One of the students celebrated his birthday and in his honor, and my arrival, a Braai (South African barbeque) was planned for the evening meal. Two of the students were responsible for the fire and the cooking of the various meats (chicken, beef and sausages) and two others prepared the salads. Earlier in the day Fr. Peter took me to visit the cathedral and the spot of the first gold mine in South Africa. Today it is a casino and theme park. 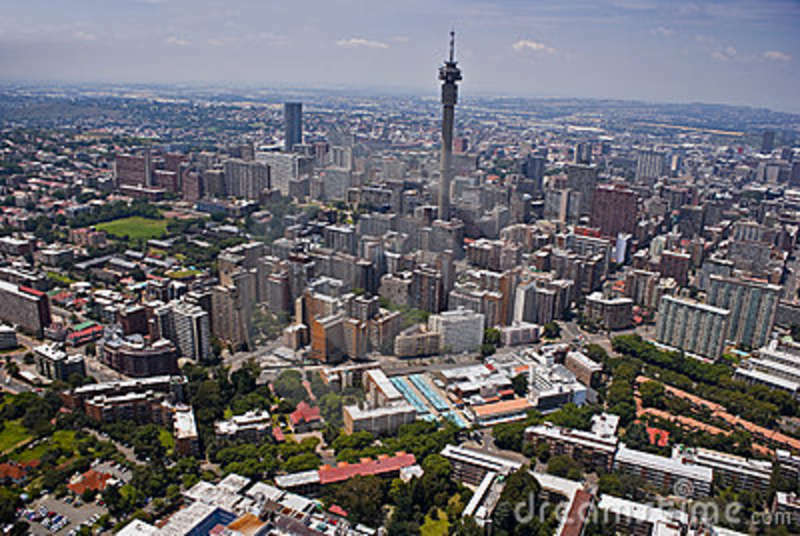 Johannesburg, the site of the SCJs’ newest community in South Africa, is the country’s largest city with 8 million inhabitants. This is my last full day in South Africa; tomorrow evening I will begin the long journey home. There’s not too much on the schedule. This afternoon Fr. Peter showed me St. Augustine College and the Holy Cross Sister’s Convent. The sisters have been connected with the SCJs in Aliwal North since almost the start of our presence there in 1923. 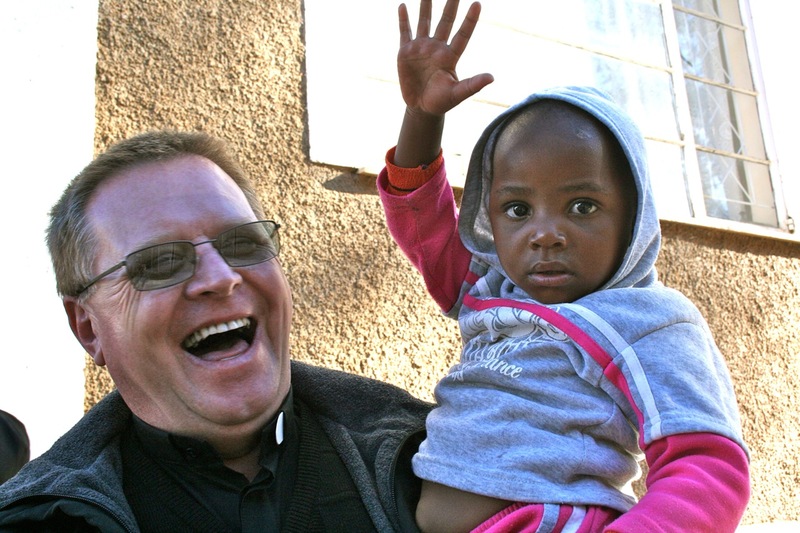 During my stay in South Africa I have not taken many pictures of people, but yesterday Fr. Peter took the picture of me at right with the five students living here. This is truly an international community. The two students studying for the South African Province come from Zambia and Lesotho. Two of the three are here to learn English in preparation for their studies at St. Joseph Seminary, Cedara, [near Pietermaritzburg] come from the Portuguese-speaking countries of Mozambique and Angola. Finally, there is one student from Madagascar where French is the national language. The community does not have a cook so the students take turns cooking. One student is on each week which means once every five weeks they are responsible for preparing breakfast and the evening meal. They also take care of their own laundry and the upkeep and cleaning of the house. In a certain sense English is a work in progress. The level of English skills varies from person to person. Most seem comfortable with spoken and written English, at least based on the prayers said in common as well as the table conversation at meals.